HDMI Splitter, supports Full HD 1080P 3D, 1 input - 8 output High-quality, highly efficient compact HDMI Splitter 1 input - 8 output bargains. Android IP box receiver SRT2022, 4K, Quad Core, Wi-Fi With STRONG's SMART IP Box SRT2022, you're enjoying the best of Internet TV and endless Android capabilities. 4K Ultra HD and HEVC, provides the best and quality internet TV. Hybrid UHD Android Receiver SRT2401, 4K UltraHD, DVB-S2 / DVB-T2 / C Experience the best of Android UHD, SRT 2401 Android receiver now combines watching TV and surfing the Internet. For downloading apps and afterwards using the SRT 2401 as a media box to share your favourite media content, this device also features a USB port and SD card slot. Equipped with a built-in triple tuner (DVB-S2/DVB-T2/C) for Free-To-Air TV in 4K Ultra HD makes for the ultimate viewing pleasure. The sleek remote control also has an integrated keyboard. 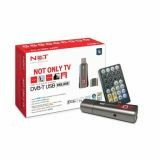 Digital DVB-T USB terrestrial TV receiver for laptop or PC Digital DVB-T USB terrestrial TV receiver for laptop or PC. List Price 45.90лв. VAT Incl. 43.60лв. VAT Incl. Mini HD Dbv T2 HD TV receiver Digital terrestrial HD TV receiver. Digital receiver SRT 8114, STRONG With the STRONG SRT 8114, you can watch any digital, uncoded, broadcast TV. 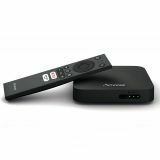 The receiver connects easily and quickly to your TV. The device is multifunctional and has a menu in Bulgarian. The product complies with the digitization standard in Bulgaria. Terrestrial HD receiver SRT 8202, DVB-T2 FTA for terrestrial digital TV Awesome, highly effective HD receiver with many possibilities for DVB-T2 and DVB-T FTA TV formats, and radio programs. Perfect for working with user friendly menus, and low power consumption, SRT 8202 is a reliable multifunctional home entertainment in HD. USB port allows you to record programs and play multimedia files from USB devices, as well as to update the software of the receiver. This variety of options makes the receiver a good choice at low and affordable price. 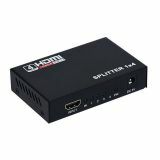 HDMI SPLITTER HDMI-4xHDMI, SUPPORTS FULL HD 1080P 3D High quality HDMI Splitter, one HDMI input, four HDMI outputs. Supports HD 1080P 3D. Digital TV Receiver THOMSON THT504 THOMSON THT504 Digital TV Receiver for free to air TV and radio programs. Just connect THT504 to your TV and enjoy the HD resolution and dolby digital sound. AV/RF Transponder Star audio AV / RF Modulator (transponder) converts the low-frequency signal from 3 RCA cinch to RF (TV socket).